Patriot is a J133 that has competed in the 2010 Rolex Sydney Hobart and two Noumea races but otherwise reasonably lightly raced having originally come from the freshwater lakes in the USA to her Queensland owner in early 2010. She has a great cruising fit out with solid offshore pedigree. 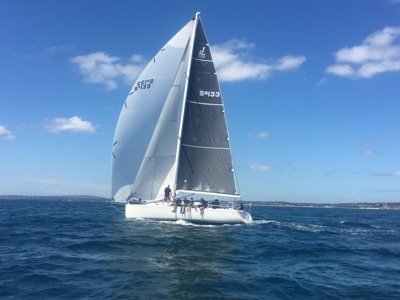 Whilst most of the team have competed in RHSYR races previous, there are four members of the crew for which this will be their first Hobart, all of which are experienced sailors but yet to tick the Sydney Hobart Yacht Race box. “Our crew is made up of some very experienced skiff and keelboat sailors from Sandringham Yacht Club. We have been preparing and training as a team for some 10 months and look forward to the challenge that lies ahead,” said Close.